This phone case comes with Built-in Screen Protector for a 360° degree protection. Flip the kickstand for viewing convenience. 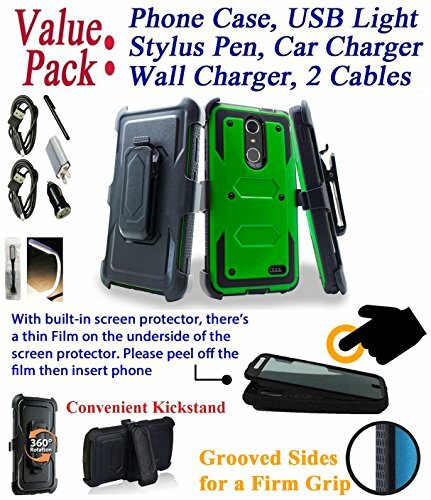 The multi-layer design, made with PC rugged holster, hardback case and silicone rubber shock absorbing gel giving great protection. Place the phone screen-side-in in the holster. Screen is shielded from bumps and when pressed on edge of desk or sorts. Or, place the phone screen-side-out, for a quick view.